Tom and Helen, long-time residents of St. Joseph, were married for 53 years, until Tom’s death in 2013. Paul describes them as “low-key and didn’t really like the limelight.” But they felt blessed and fortunate to own a very successful business, Krebsbach Chevrolet, along with Tom’s father, and two brothers, Ray and John. 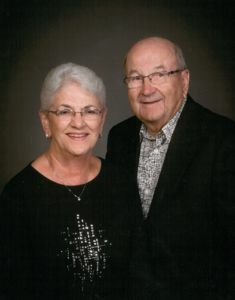 Because of Tom and Helen’s generosity, their church will continue to flourish in St. Joseph, students will continue to receive a Catholic education at Cathedral and older adults will be well cared for in their twilight years.